I don''t know about you but my creative juices always kick in long about 11:30 p.m. 😲😲 So I am usually up late nights creating. Last night was no exception. Here are the two cards I made before I turned in. The card below was created using DSP from SU! Warmth & Cheer. 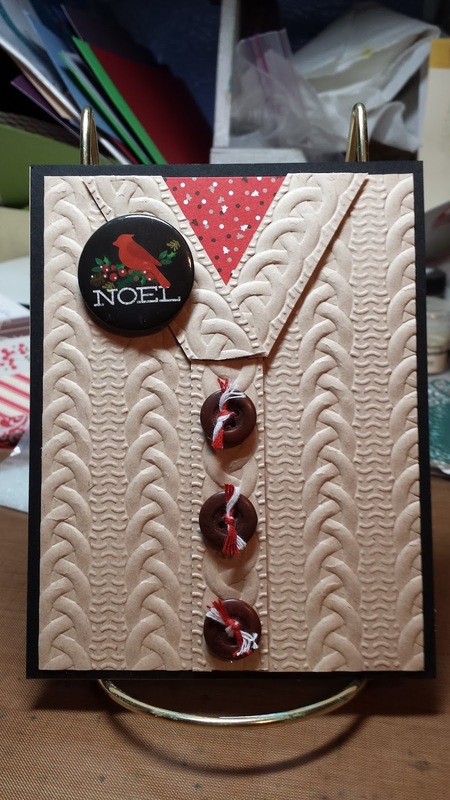 The die cut is from my friend Debbie Segler. The little bells charm is from SU! 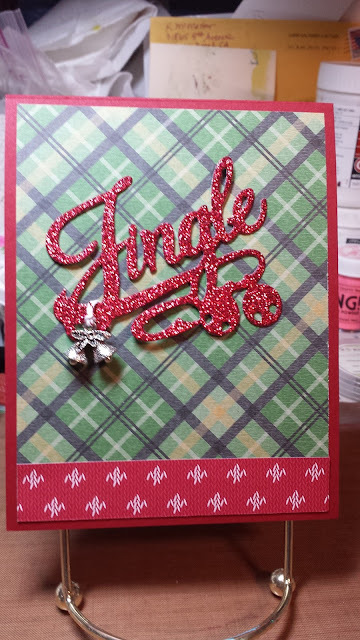 The card below is mad from Stampin' Up! DSP Candy Cane Lane, the Cable Knit EF some old buttons and twine and Silver Bells Ring Flair Pin. 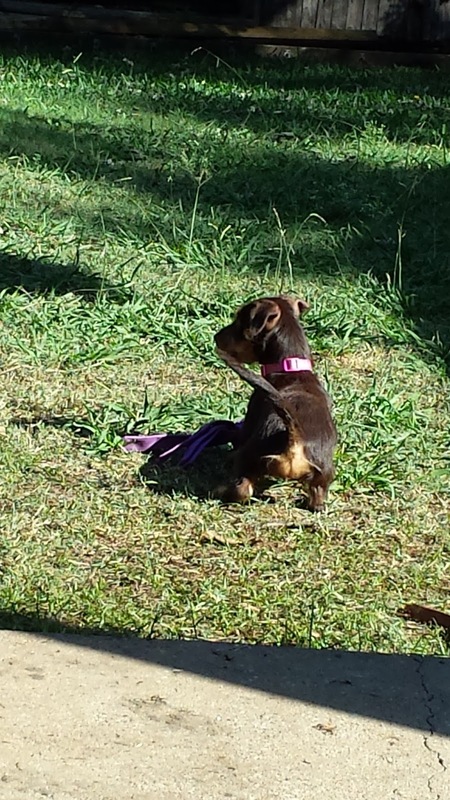 Below is a photo of my 4 month old puppy Suki' enjoying her backyard. She only weighs 9 lbs. She is a mixed breed puppy - Cairn Terrier and Dachshund. Isn't she just the cutest? One day last week she chased a squirrel from the right side to the left side of this backyard. She came very close to catching it! She's F-A-S-T!!! !